» #HotSportsTakes: Why Can’t a Coach Win the Heisman? Every now and then, we will attempt to write the worst sports column on earth. Today: Let’s talk about courage in a cowardly world. MIAMI — Think about your father. Think about what made his heart tick every day. What made him great. Did Dad do everything he could to protect his family and give them the best life he possibly could? There’s a responsibility that comes with fatherhood, and a lot of dads don’t measure up. Maybe that’s why I respect Jimbo Fisher so much. When the going gets tough, Jimbo only gets tougher. He digs in his heels and stays loyal. He protects his family. He keeps his players on the field. He keeps the whole family winning. Look at Saturday. The Miami Hurricanes exploded through the smoke in Sun Life Stadium and jumped out to a 23-7 lead. All over the country, critics were champing at the bit. Jameis Winston looked like chopped liver, and the defense had turned into Swiss cheese. Miami was eating Florida State for lunch. That’s when the coach went to work. It may sound like a bunch of mumbo jumbo, but not to Jimbo. All of that talk turned into a defense that only gave up three points in the second half. Florida State scored 20, and it won 30-26. Still undefeated. Still on top. Miami was hungry for an upset, but in the end, the Hurricanes got served a full helping of Jimbolaya. That’s been a theme with FSU this year. Every week there’s a new test, and every single week, Jimbo’s Seminoles pass with flying colors. It makes you wonder. The Heisman Trophy goes to the man “whose performance best exhibits the pursuit of excellence with integrity. Winners epitomize great ability combined with diligence, perseverance, and hard work.” But what if the most outstanding performance isn’t from a player this year? Look around the country. Todd Gurley started fast, but he was slowed down by greed and immaturity. Dak Prescott looked great for a few months, and then Dak got waxed in Tuscaloosa. Jameis Winston’s been outstanding, but I’m not sure he’s been upstanding. Marcus Mariota’s been running up the score on the Little Sisters of the Poor, but Oregon hasn’t beaten a good team since September. Everett Golson tried to throw his hat in the ring, but it got intercepted before it landed. These are your Heisman candidates, America. Get a good look. Now look back at Jimbo. What if the winner we want is a man who’s been stiff-arming distractions all season and epitomizing excellence every single week? Of course, here come the critics. The media has plenty of “buts” to add whenever someone mentions the last undefeated powerhouse in the country. Florida State’s dominating, but it’s doing it against a schedule that looks easier every week. Jameis has been unbelievable, but the school’s still investigating that sexual assault case. The Noles have five second-half comebacks, but Fox Sports claims the school actively worked with police to impede that sexual assault investigation. They’re the defending national champions, but their starting secondary was involved in a hit-and-run at 3 in the morning that got reduced to a traffic ticket. No program is perfect, but at Florida State it’s part of a much bigger pattern. That Karlos Williams touchdown was amazing on Saturday, but remember when his pregnant girlfriend was posting pictures of her injuries on Facebook? Assuming makes a bleep out of you and me, but it never stops the media. Facts don’t matter anymore, sources are king now, and places like the New York Times just exist to feed the beast. The narrative goes on forever. An old friend once told me that character is who you are when nobody’s looking, but the truth is, that fantasy doesn’t exist when you’re elite. Someone’s always watching these Noles. And they can’t stop delivering. “I thought the name of the game was to keep winning?” Jimbo said a few weeks ago. That’s what I keep coming back to. The playoff committee doubts Florida State’s résumé, the media does the ol’ PC song and dance, but when the music stops, winning’s all that matters. Jimbo turns a blind eye to nonsense and keeps his eye on the scoreboard. That’s what a title team needs. You don’t land a whale of a trophy unless you’ve got a Captain Ahab who’s not afraid of a few waves. And what was Ahab’s weapon of choice? Some stories are just too good to be true. That’s what Florida State has this year. It’s a football family. The media keeps running trap plays, but these brothers just lock arms and fill every gap with another victory. Not all of us, Ahab. Eventually the rest of this country has to cut through the narrative and give credit where it’s due. Whether the media will give him the Heisman or not, nobody’s done more for his team than Jimbo Fisher this year. It’s a fact. But, but, but … If you want to hear about buts, go pick up another Kardashian magazine. 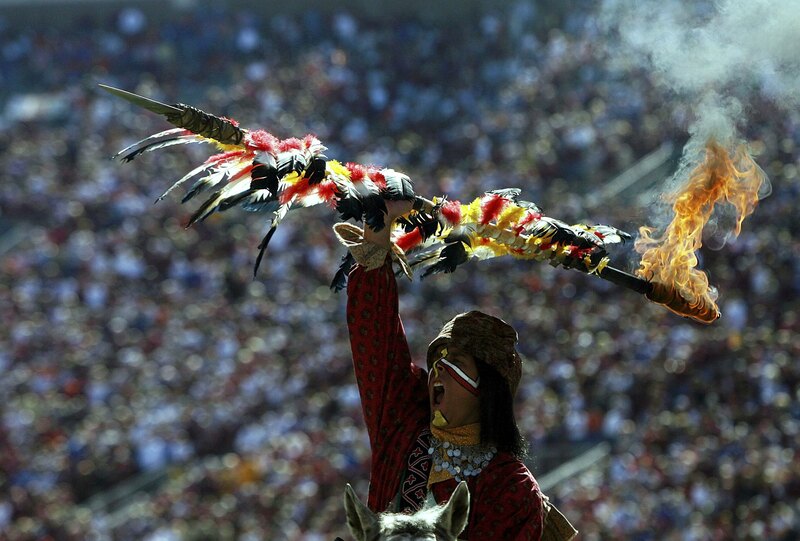 At Florida State, the only butts that matter are the ones Jimbo and the Noles are kicking every Saturday.